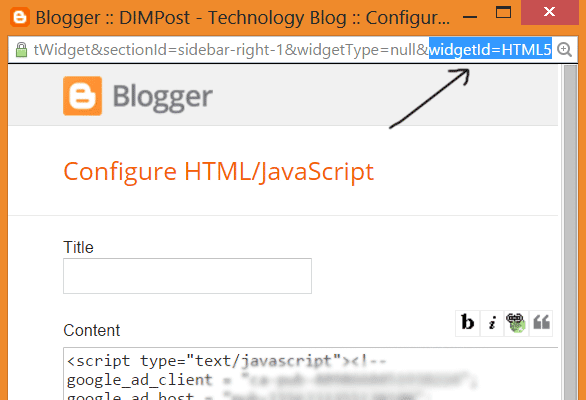 There is several ways to find a blogger widget/gadget ID. 3. A floating URL will came out at the bottom of your browser. 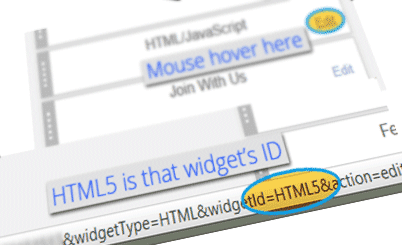 (See image) In the URL you can find your widget ID by looking there "widgetId=HTML5". Here "HTML5" the ID. I hope that this little article may help you . Don't forget to say thanks :p. And stay with DIMPost.